Click Here To See Action Comics #350 Comic Book! 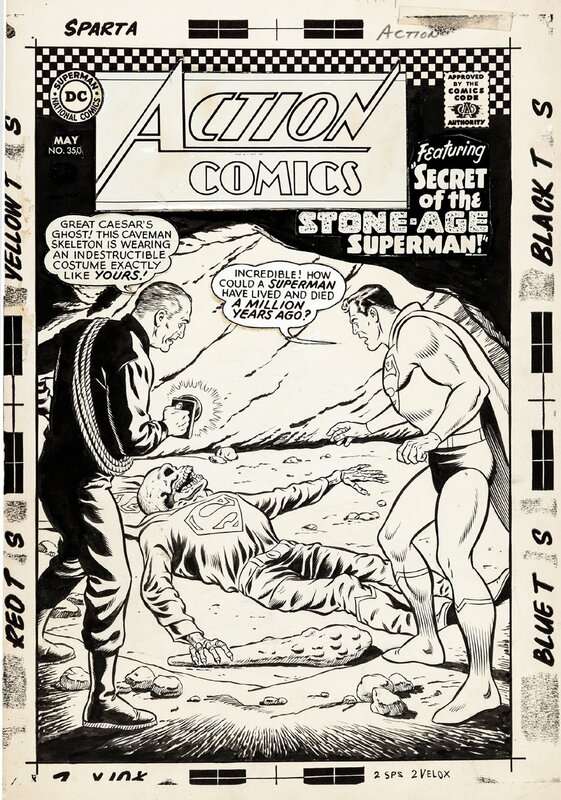 Check out this incredibly rare SILVER AGE 1966 LARGE ART "SUPERMAN" cover, which was penciled by the great Curt Swan, and inked by the great George Klein, from the classic story titled: "Secret of the Stone-Age Superman!" 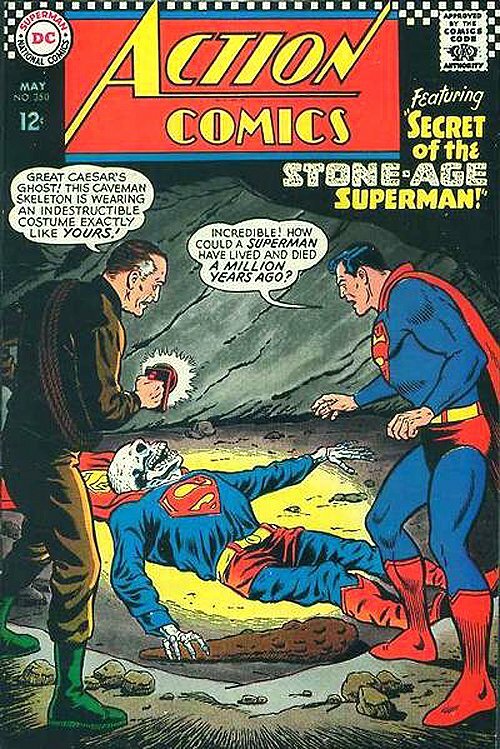 This nice cover features Superman and Perry White in a cave as they find a prehistoric SUPERMAN skeleton in costume! I love covers where Perry White says his ever classic "GREAT CAESAR'S GHOST" saying! GO-GO-CHECK "LARGE ART" DC Super Hero covers are always extremely sought after by collectors, and Silver Age Superman covers drawn by the great Curt Swan and George Klein are some of the most sought after DC covers to ever hope to own. So don't miss out on this SILVER AGE SUPERMAN COVER if you can help it. Compare this nice cover art to the published comic book in the red link above! ALL art on our website (including this one) are able to be purchased with VERY fair time payments, and trades are always considered towards "ANY" art on our website! Just send us an email to mikeburkey@aol.com and we can try to work something out.